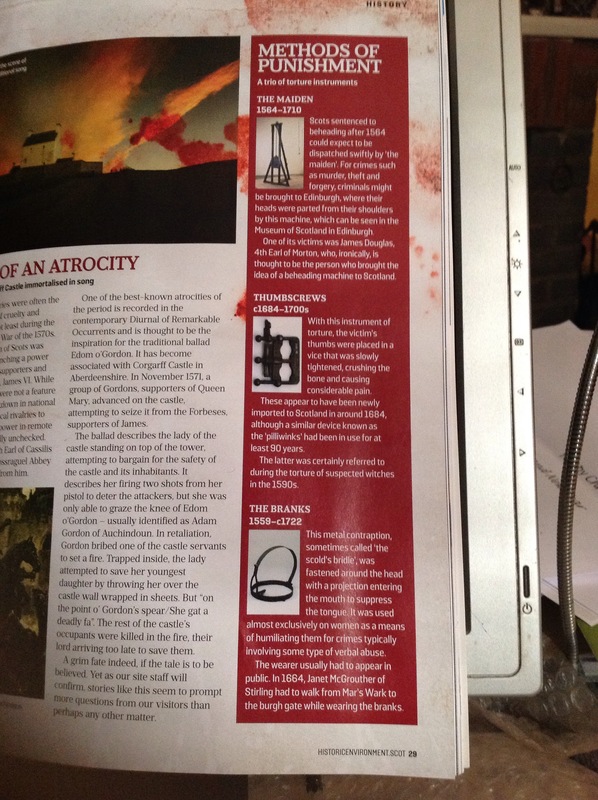 My current Historic Scotland magazine made me aware of the Medieval torture practices which extended into the 1700s. It made me think that we can always, as humans, raise our intellectual understanding but never seem to leave go of the psychopathic power involved in extracting the most awful suffering from innocent victims for absolutely no value of “information sought”. Whilst an Enlightenment was happening in Britain, somewhere else depraved minds were relishing being given immunity and authority to commit heinous suffering to a victim in the name of ‘national security’. Nothing has changed in the 21st century. These miserable individuals still emerge, working happily for some vested authority in their activities around the world. 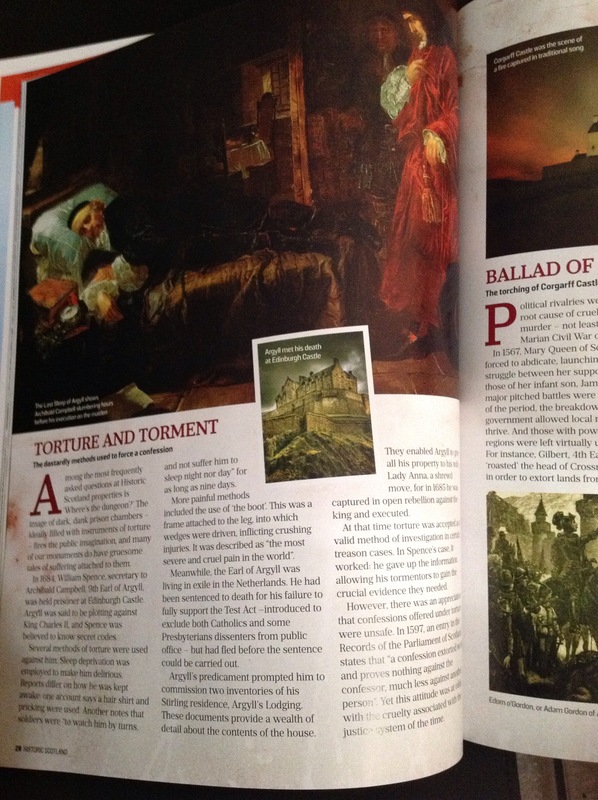 Yet here is horrible torture against a man thought to be plotting against King Charles II. When rivalries reached a peak and cruelty was unchecked in the 1570s after Mary Queen of Scots abdicated in 1567, awful torture was applied to put pressure on people for all sorts of reasons. Gilbert, the 4th Earl of Cassillis ‘roasted’ the head of Crossraguel Abbey in order to extort lands from him. Some methods of medieval torture lasted into the 1700s. This entry was posted in Uncategorized and tagged adam smith, Britain, catholic, economics, history, politics, protestant, scotland, torture, victims. Bookmark the permalink.